The Tor network is based on several relay nodes that will simply forward traffic. Regular relays forward only within the Tor network and are generally ok to run. Exit nodes are used to connect the Tor network to the regular Internet. However, since also bad people are using the Tor network, those bad people may than do bad things using the IP address of the exit node. Therefore, you have to think twice before actually running an exit node on your NAS. Apart from that there is also the question if a relay behind your dial up connection with your IP address changing regularly. Have a read of Are short-lived relays useful to the Tor network? and then decide for yourself. If you are convinced, that running a Tor relay on your QNAP NAS is worth the time, then please read on. Otherwise, please consider contributing to Tor in another way. Tor is based on crypto, so it does not openssl. Furthermore, libevent seems to the something Tor definitely needs. Go to https://www.torproject.org/download/download.html.en and download the latest version of the Tor source code. At the time of writing this post, the latest version is 0.2.4.20. Download it to your computer and then copy it over to your NAS. Please do not use wget on your NAS to download tor directly. The NAS does not have the ca-certificates installed which means that it cannot verify the server identity. Therefore, you cannot be sure if the downloaded version of tor is genuine. Since you can never be sure, the proper way is to verify the signature of the downloaded tor archive. Why should you use the –disable-gcc-hardening option while it obviously makes things worse? By default, tor will add the compiler flags -fstack-protector-allwhich is good. Unfortunately, gcc 4.2 and 4.3 have a bug that makes binaries compiled with -fstack-protector-all compiled on ARM processors segfault when started. To overcome this, we have to give the –disable-gcc-hardening to the tor configure process. Nickname is a human-readable name for your relay. ContactInfo gives the Tor community a way to reach you in case there is a problem with your relay. Address specifies the DNS name of your router. In case you have setup a dynamic DNS service, please enter the name here. RelayBandwidthRate is the bandwidth in kilobytes per second that you want to devote to Tor. Please keep in mind, that usually the upstream of your home DSL connection is the bottleneck and you should not give everything to Tor! ORPort is the port you setup the port forwarding for. You can use another port, but this has to be reflected in the torrc config and in the port forwarding in your home router. Jan 02 11:28:31.530 [notice] Tor v0.2.4.20 running on Linux with Libevent 2.0.20-stable and OpenSSL 0.9.8v. Jan 02 11:28:31.531 [notice] Read configuration file "/opt/etc/tor/torrc". Jan 02 11:28:31.000 [notice] Parsing GEOIP IPv4 file /opt/share/tor/geoip. Jan 02 11:28:32.000 [notice] Parsing GEOIP IPv6 file /opt/share/tor/geoip6. Jan 02 11:28:33.000 [notice] Configured to measure statistics. Look for the *-stats files that will first be written to the data directory in 24 hours from now. Jan 02 11:28:33.000 [notice] Your OpenSSL version seems to be 0.9.8v. We recommend 1.0.0 or later. Jan 02 11:28:36.000 [notice] Guessed our IP address as YYY (source: ZZZ). Jan 02 11:28:36.000 [notice] Circuit handshake stats since last time: 0/0 TAP, 0/0 NTor. Jan 02 11:28:36.000 [notice] Bootstrapped 5%: Connecting to directory server. Jan 02 11:28:36.000 [notice] Bootstrapped 10%: Finishing handshake with directory server. Jan 02 11:28:36.000 [notice] We weren't able to find support for all of the TLS ciphersuites that we wanted to advertise. This won't hurt security, but it might make your Tor (if run as a client) more easy for censors to block. Jan 02 11:28:36.000 [notice] To correct this, use a more recent OpenSSL, built without disabling any secure ciphers or features. Jan 02 11:28:37.000 [notice] Bootstrapped 15%: Establishing an encrypted directory connection. Jan 02 11:28:54.000 [notice] We now have enough directory information to build circuits. Jan 02 11:28:54.000 [notice] Bootstrapped 80%: Connecting to the Tor network. Jan 02 11:28:55.000 [notice] Bootstrapped 85%: Finishing handshake with first hop. 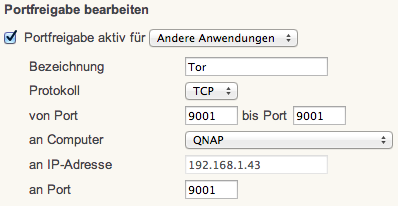 Jan 02 11:28:55.000 [notice] Bootstrapped 90%: Establishing a Tor circuit. Jan 02 11:28:57.000 [notice] Tor has successfully opened a circuit. Looks like client functionality is working. Jan 02 11:28:57.000 [notice] Bootstrapped 100%: Done. Jan 02 11:29:39.000 [notice] Self-testing indicates your ORPort is reachable from the outside. Excellent. Publishing server descriptor. Jan 02 11:29:41.000 [notice] Performing bandwidth self-test...done. If Tor finds a problem for example with your port forwarding it will tell you.